← The International Flight of Words. . . The American University has put the price on the suit as 862.4 million dollars. The amount of damages has not been decided by the jury as yet. 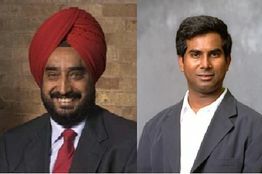 Sohi and Vijaykumar were part of a team of four engineers who created a “Table based data speculation circuit for parallel processing computer” that Apple eventually used to “enhance efficiency and performance” of its iPhone and iPad processors, according to the complaint. The lawsuit was filed by the Wisconsin Alumni Research Foundation (WARF), University of Wisconsin, where Sohi led the team of engineers. Sohi was the lead engineer of the project, which was granted a patent in the US in 1998. He is currently a professor of computer sciences at the University of Wisconsin Madison. Vijaykumar, on the other hand, is a professor of electrical and computer engineering at Purdue University. Both pursued their graduation at BITS, Pilani. The jury ruled that Apple infringed upon all of the six patents in WARF’s complaint and rejected Apple’s request to prove patent invalidity. WARF had sued Apple for a sum of $862.4 million, but the jury has not yet decided how much would be granted to the foundation and the team members. WARF had sued Intel for the same patent in 2008 as well, but that case was reportedly settled out of court for an undisclosed sum of money. This entry was posted in India, Uncategorized, USA and tagged 862.4 million dollars damages requested, blogging, Engineering in India, patent copied, Suit. won over Apple by two Indian engineers, travel. Bookmark the permalink. Reblogged this on ' Ace World & International News '.